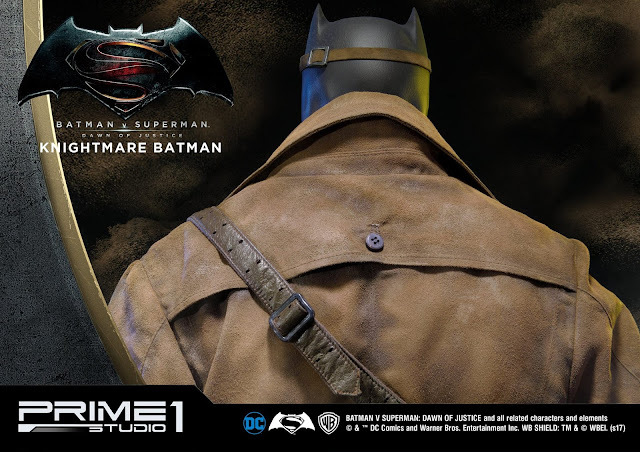 Prime 1 Studios has released new photos and details for their upcoming Knightmare Batman statue from Batman V Superman: Dawn of Justice. 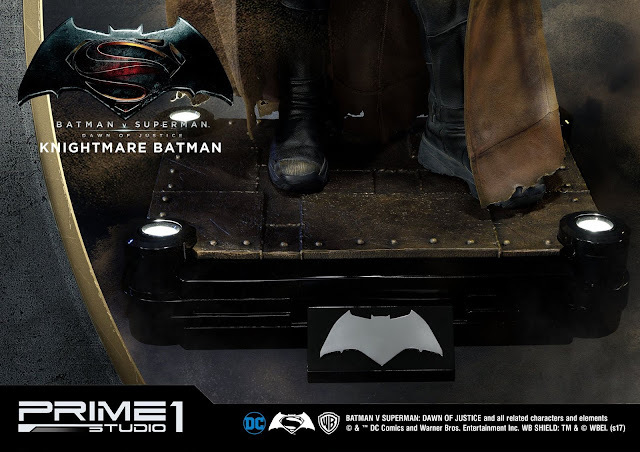 The statue is over 43″ tall, with the base containing LED spotlights and two interchangeable logos. Check out the details and images below. 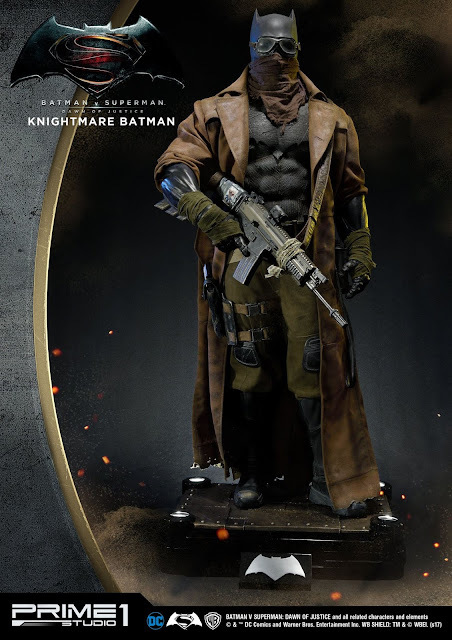 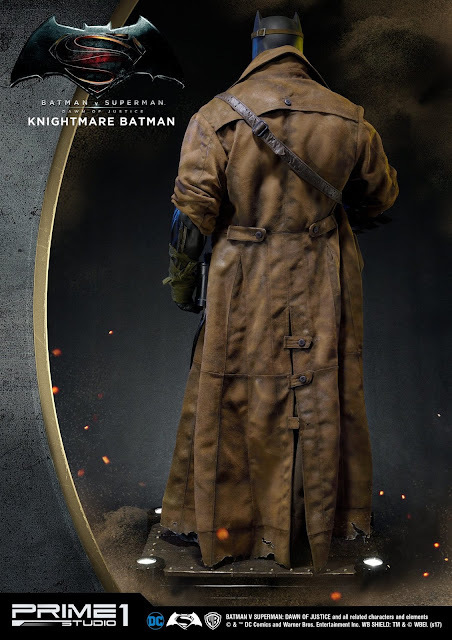 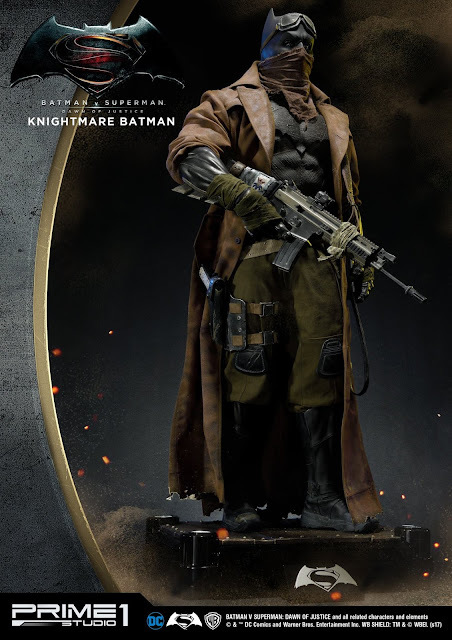 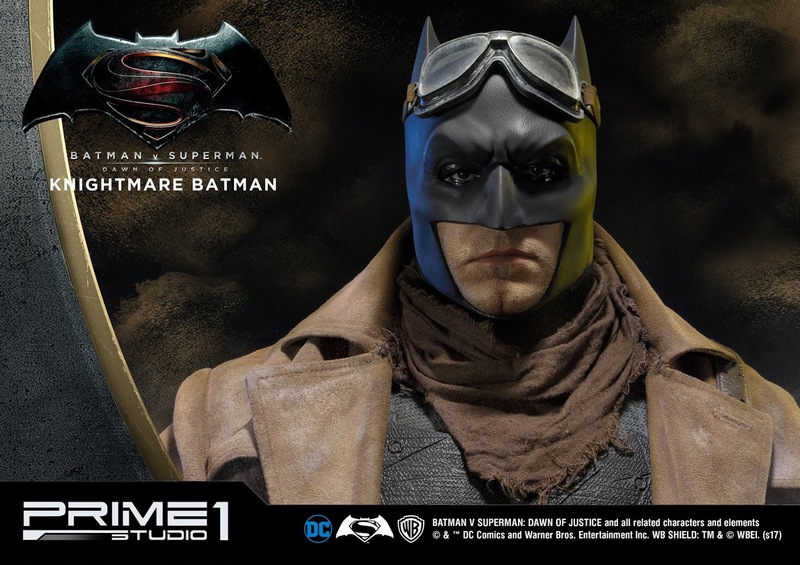 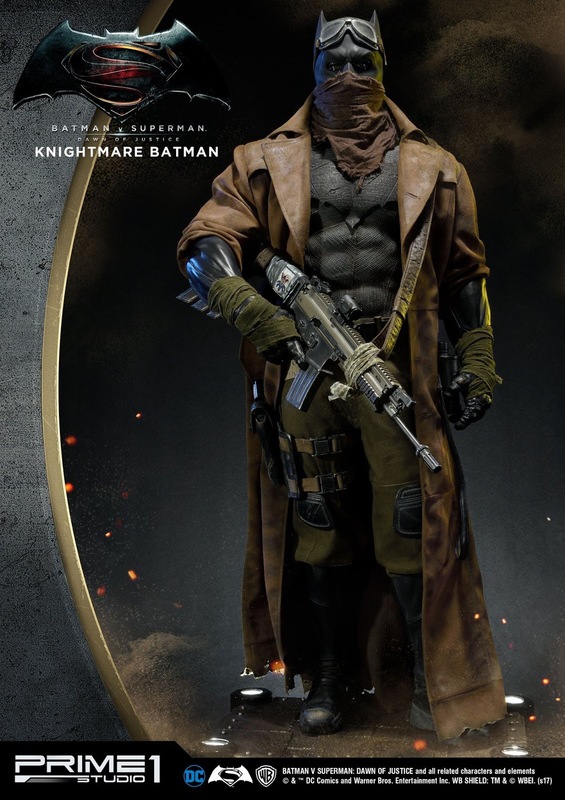 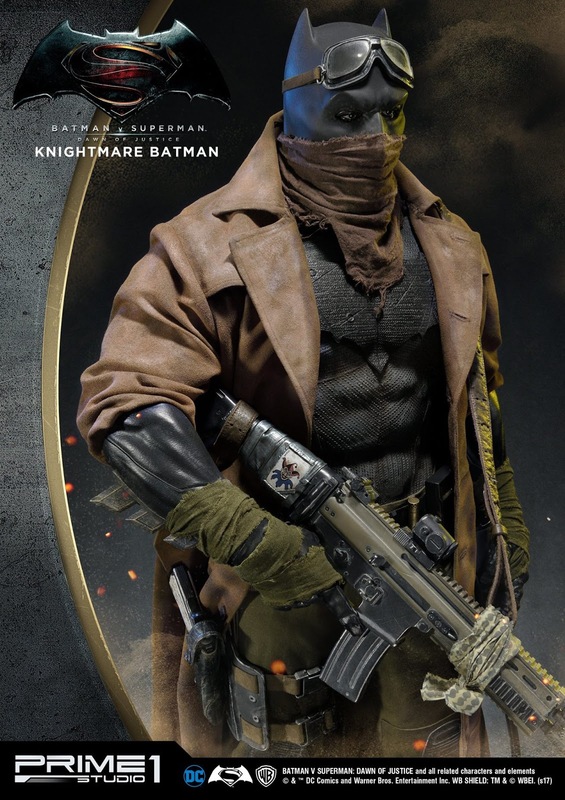 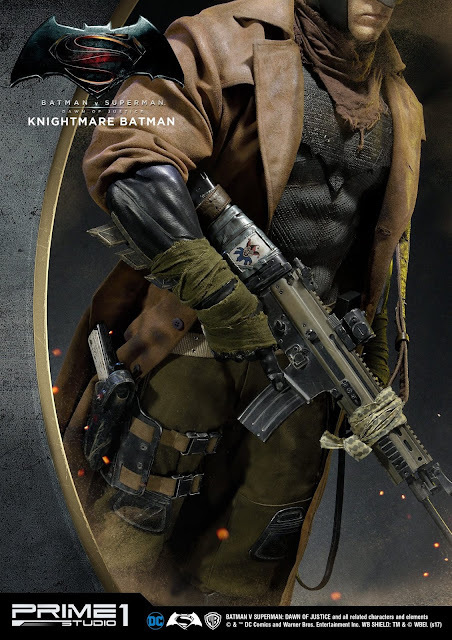 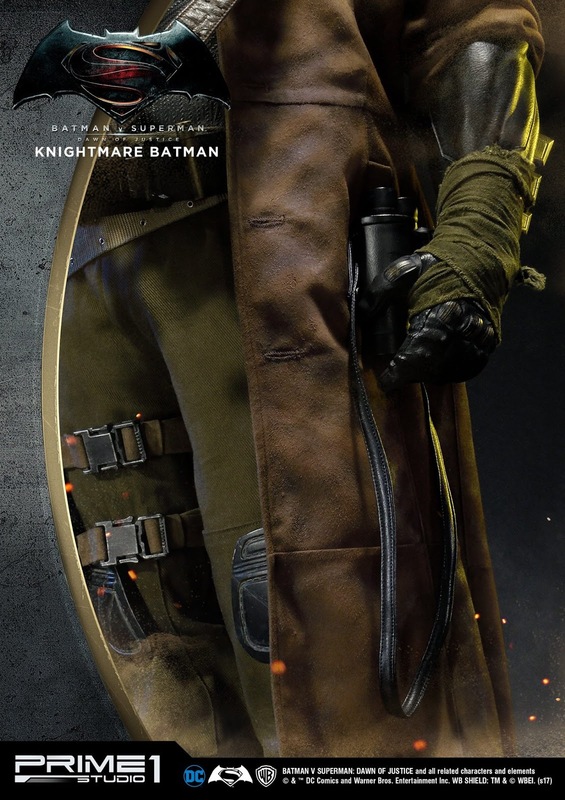 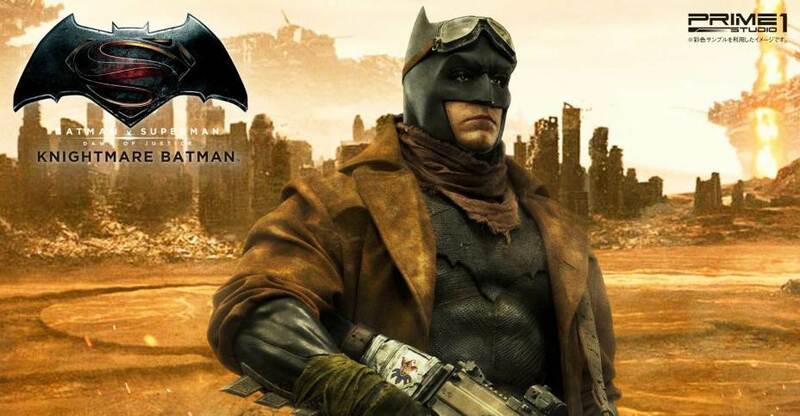 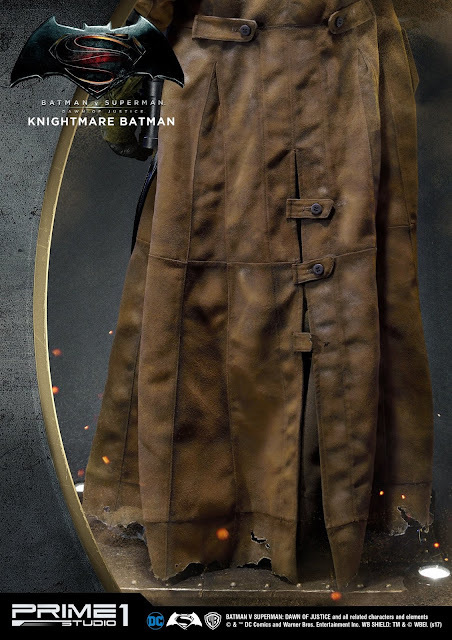 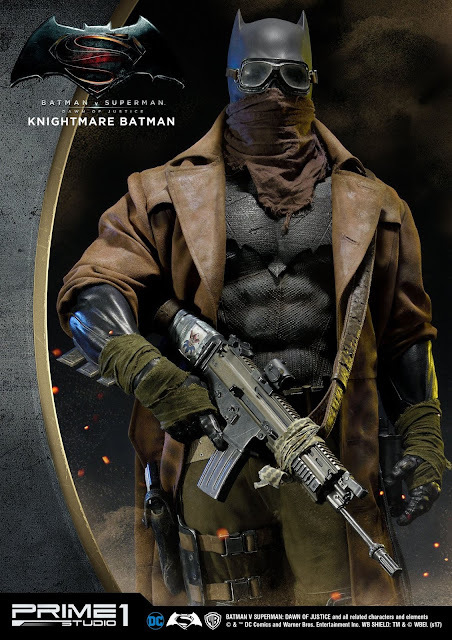 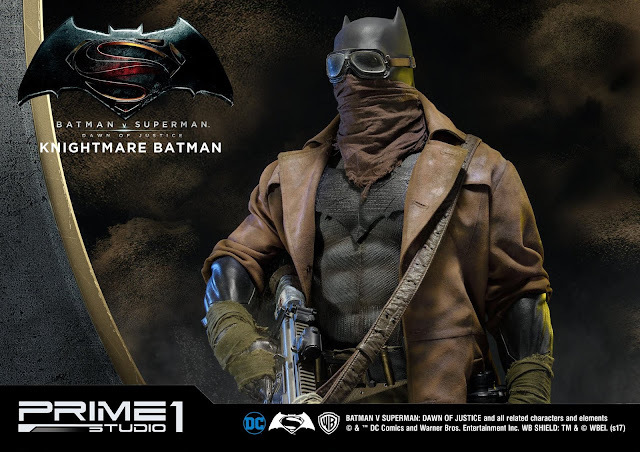 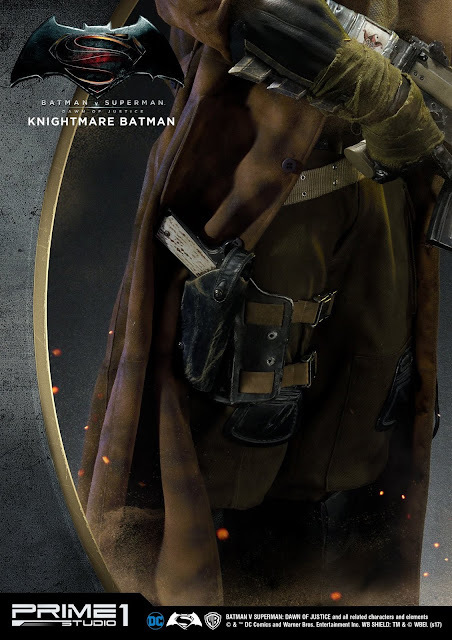 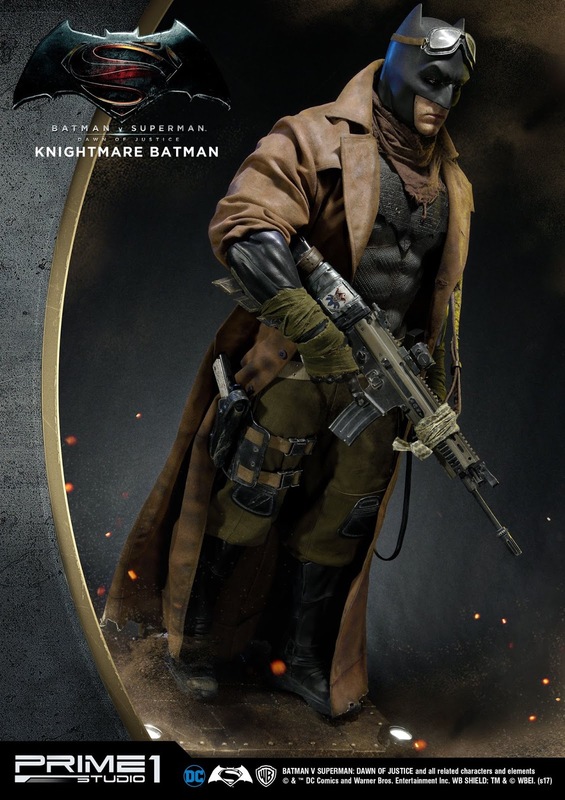 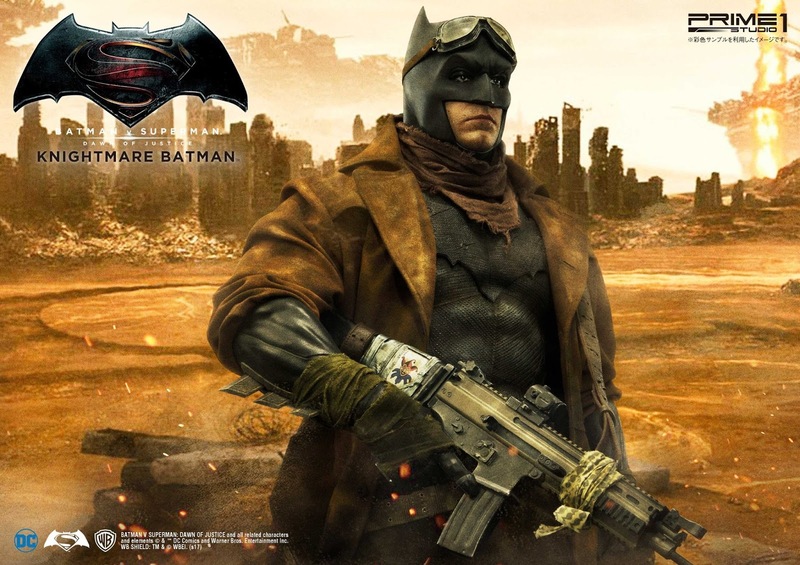 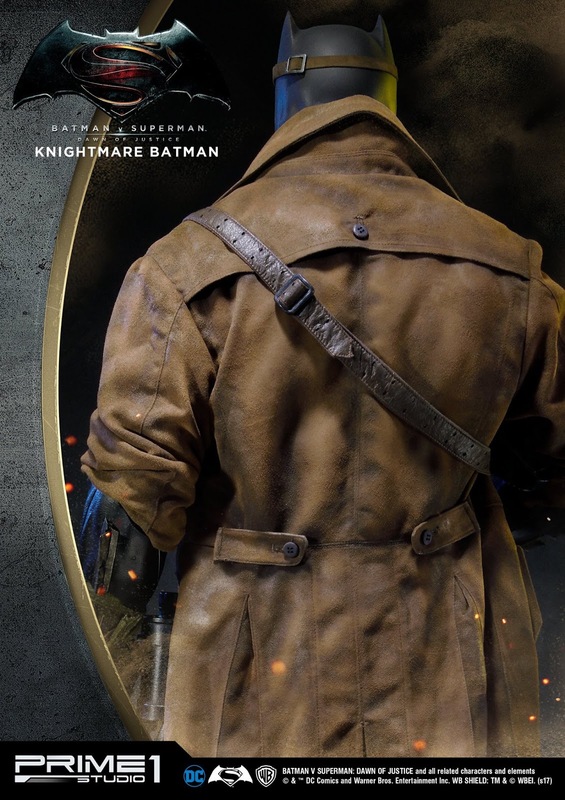 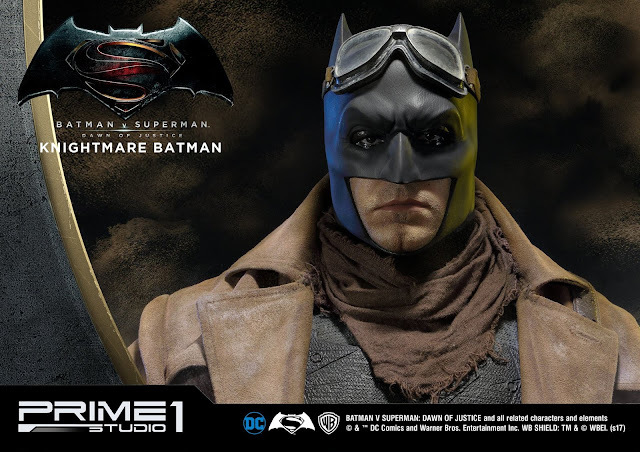 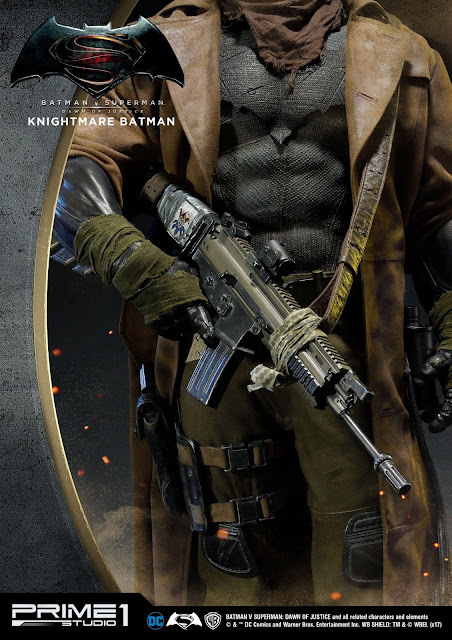 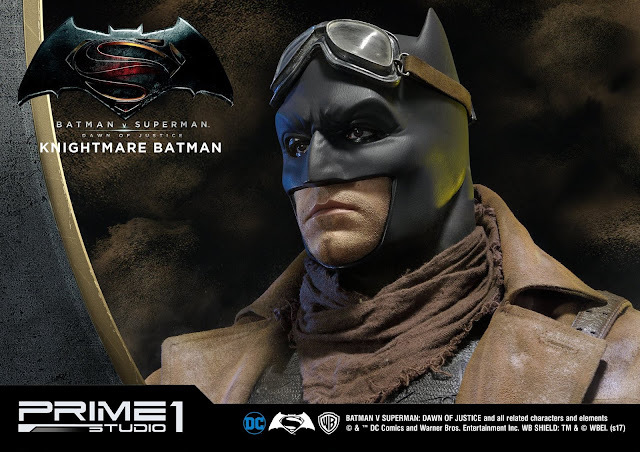 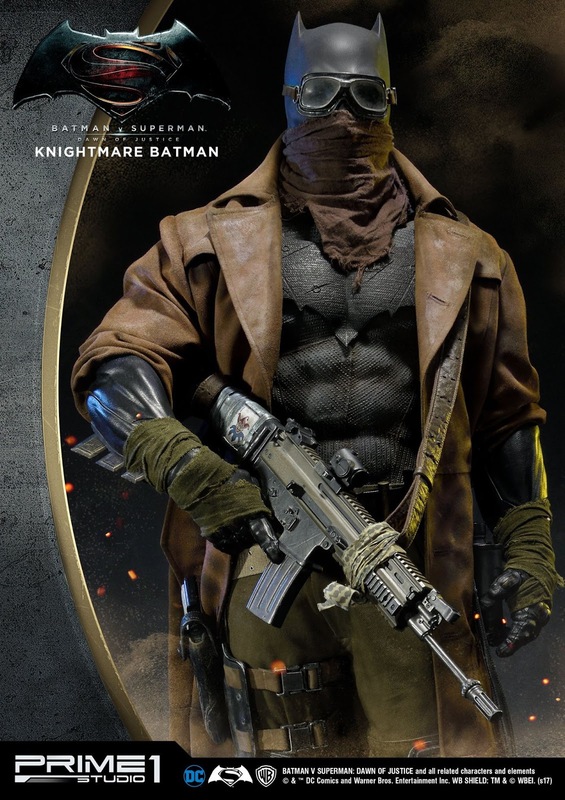 "Prime 1 Studio is proud to present HDMMDC-07: Knightmare Batman from Batman V Superman: Dawn of Justice film. 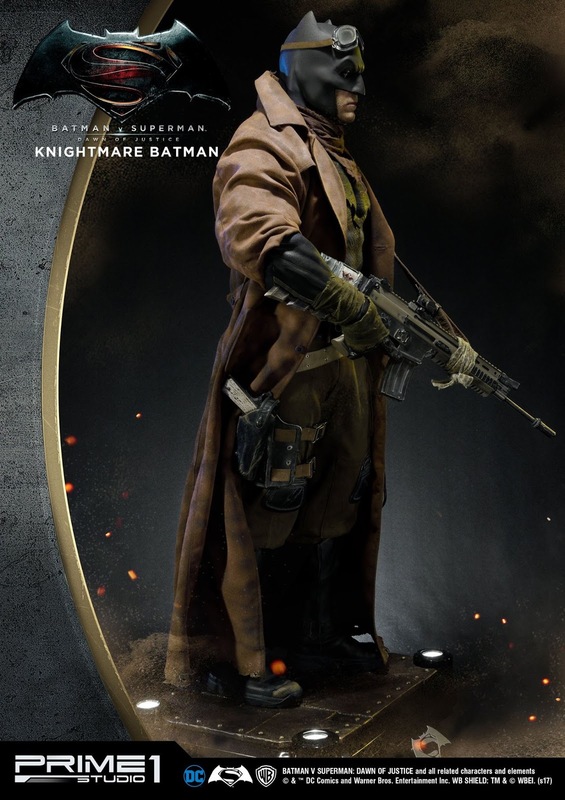 DC Comics blockbuster, viewers and fans were intrigued by Bruce Wayne’s “Nightmare” which was a dream of Bruce Wayne following the Black Zero Event, unaware that he was in fact witnessing events from an alternate timeline sometime in the near future. 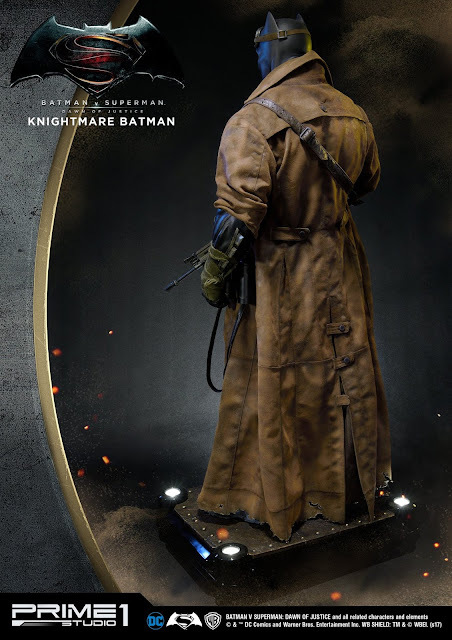 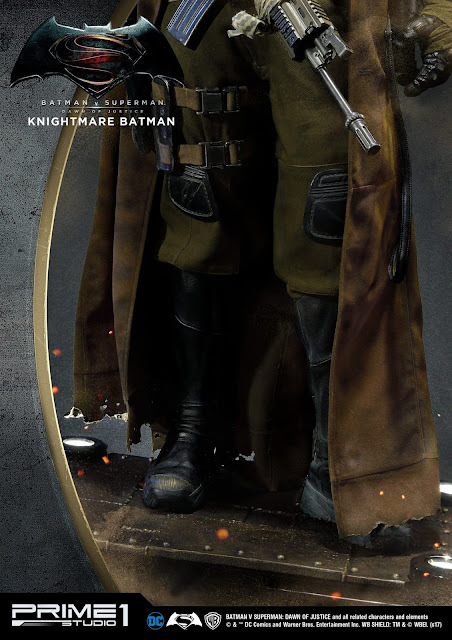 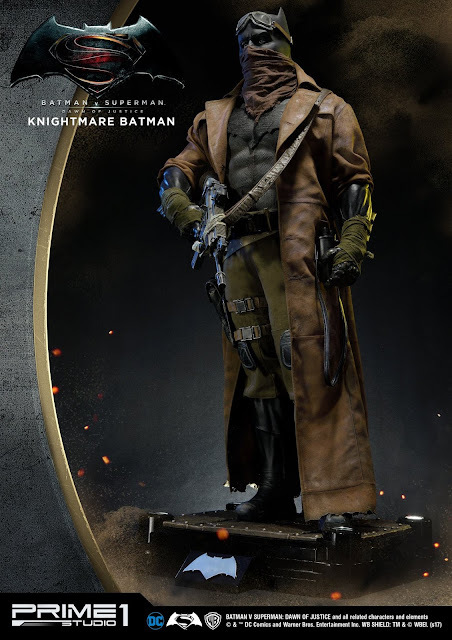 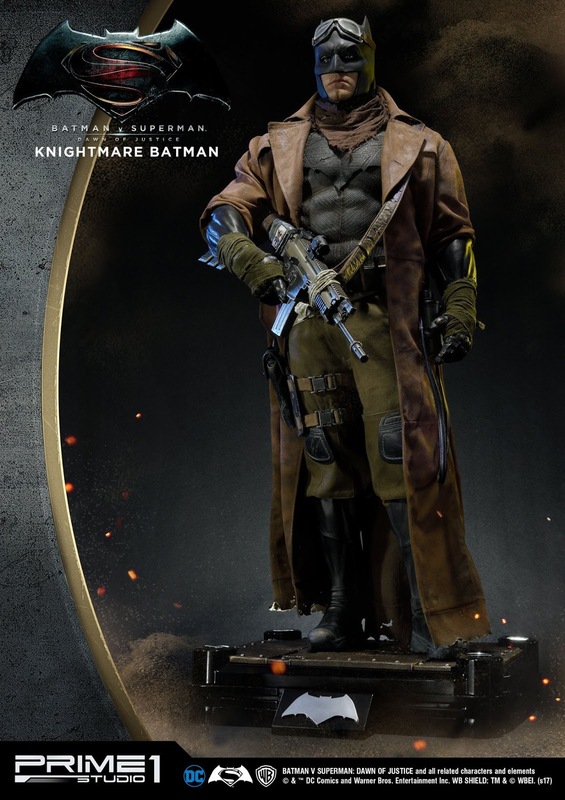 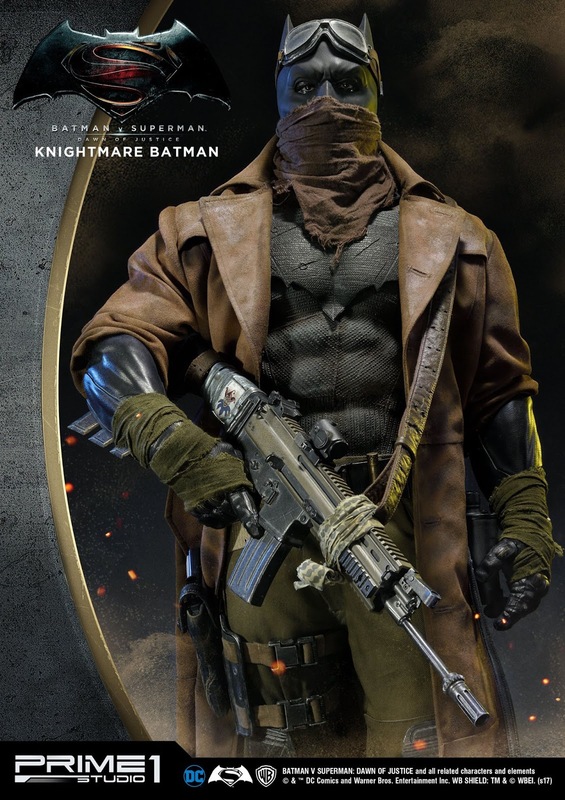 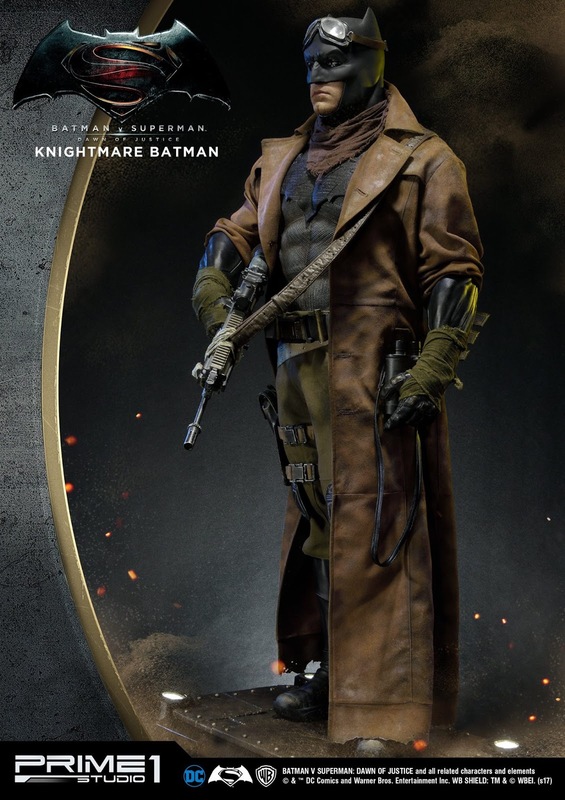 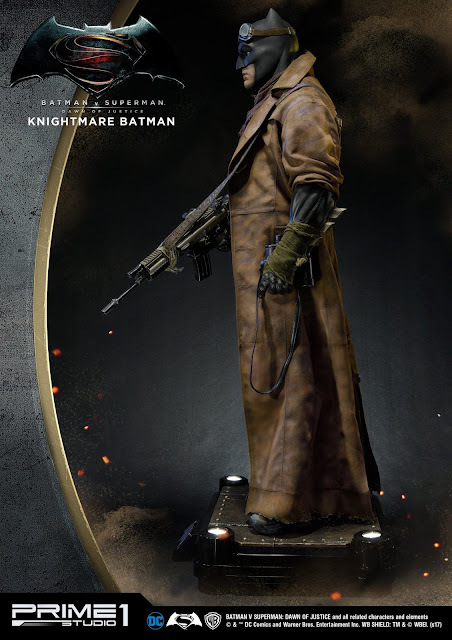 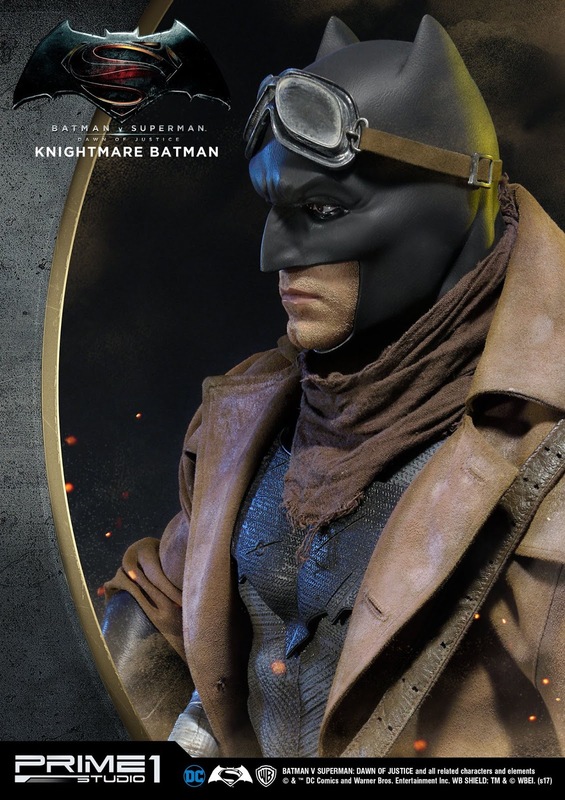 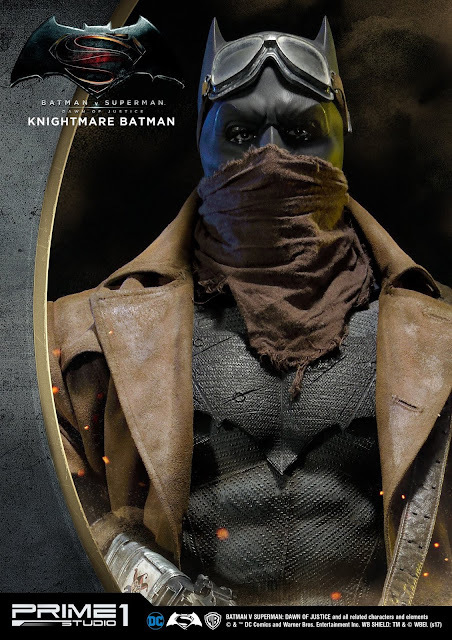 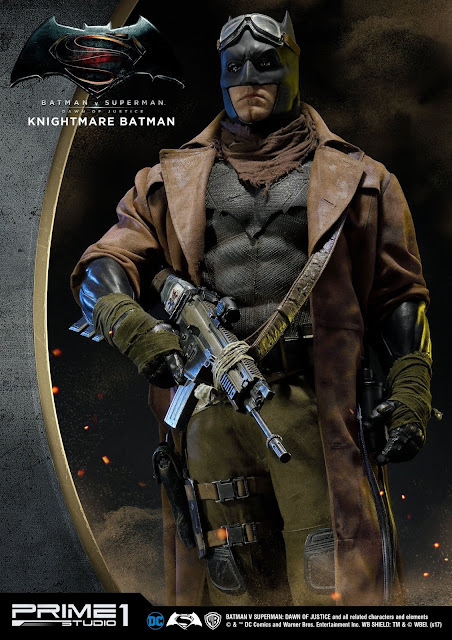 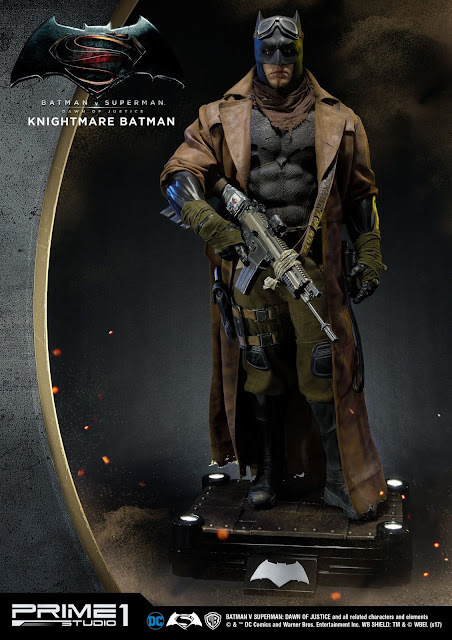 Knightmare Batman is crafted in 1:2 scale with attention to detail, standing around 43 inches tall. It is a must have Batman for all DC Comics fans."